Arc flashes can be caused by seemingly insignificant errors or conditions, such as a dropped tool, corroded equipment, or a buildup of dust. 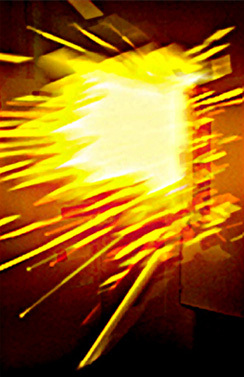 The casual nature of arc flashes combined with temperatures that can reach upwards of 10,000◦ F, create unintended circumstances for catastrophic injury or loss of life and property. Because of the significant threat posed by arc fault failures, there are stringent rules governing the labeling of energized electrical equipment: Article 110.24 of the 2011 edition of the National Electric Code and NFPA 70E 2009 edition "Electric Safety in the Workplace." Arc Flash Labeling Services can assess your risk level, recommend customized solutions and train your employees on how to work safely. Arc Flash Labeling Consulting and Survey services include arc flash assessment, analysis, recommendations and training. Develop accurate one-line diagrams showing existing conditions. Create a training program to teach safe electrical work practices.